Indian Railways is the top most passenger and goods transport system in the world. It is the largest railway network. Daily 0.5 million passengers book train tickets through the irctc site. Here we will see various glossary terms that are used in the Indian Railways. Lets take look at each one of this in detail. 2. 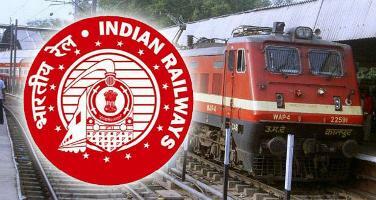 Sms Service: Indian railways sends an sms when the waiting list ticket gets confirmed. 3. Current Booking Availability: If there are any berths available in the train, passengers can book such berths just before the train starts at a particular station. 4. Train Berth availability: Using this service, we can know the number of seats available in the train. 5. PNR Status: PNR represents passenger name record. Passengers can check the status of a ticket to know whether it is confirmed or not at irctcweb and can also predict the confirmation of the ticket. 6. Tatkal Scheme: Passengers who plans to travel urgently can book tickets under tatkal scheme. The IRCTC earns a lot of money with this service. It also recently started premium tatkal service to make even more money. 7. Trains between stations: Passengers can know the number of trains and what trains running between two stations. 8. Train schedule: One can know the time table of the train and can know at what intermediate stations the train stops. 9. Availability charts: Indian railways is publishing some reports where one can know the seat availability in trains for the next 7 days in major stations. 10. Indian railway runs different types of trains. They are special, mail express, super fast, luxury trains, rajdhani, shatabdi, janshatabdi, garibrath, duronoto, tourist trains and special hill.